Defected presents the first ever mix compilation from the Detroit DJ & producer MK aka Marc Kinchen. Incredibly, this is the first commercially available mix compilation MK has ever put together. From working alongside some of the world’s biggest pop stars (think Michael Jackson, Will Smith, Pet Shop Boys, Pitbull) to crafting seminal and timeless underground house, Marc Kinchen – better known by his alias MK – is a peerless craftsmen of modern-day music. Arguably enjoying the most prolific artistic form of his life, Defected presents MK In The House is – somewhat unbelievably – his first ever mix compilation; a snapshot of where he currently sits; a 2-disc mix taking in Lana Del Ray, Dusky, Jamie Jones, FCL, Huxley and Kings of Tomorrow, as well as a handful of exclusive MK remixes. 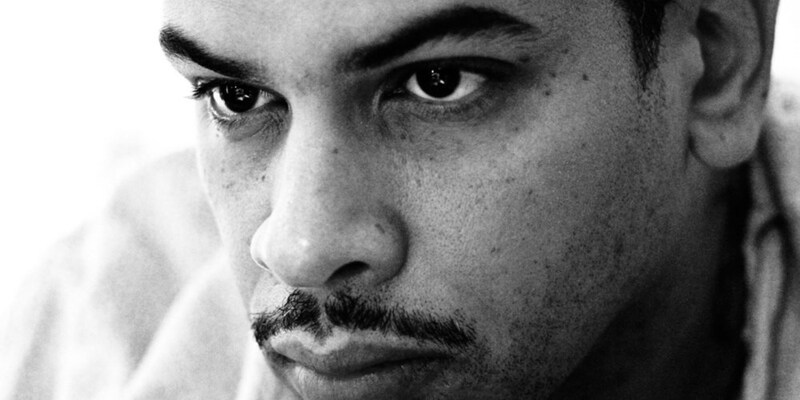 Back in the early 90s, Marc Kinchen almost single-handedly pioneered a signature sound for the then relatively new genre of house music. His releases from that era such as ‘Burning’ and ‘Always’ and remixes like Nightcrawlers’ ‘Push the Feeling On’ are still ubiquitous and have, in the last year or so, served more as house blueprints, copied ad nauseam by young producers of the day. As such, MK’s influence on the current state of house music cannot be underestimated. CD1 kicks off with one of MK’s most essential records, his own ‘Love Changes’ feat. Alana, which segues seamlessly into Prince Club & Poupon feat. Nahrin David ‘Only One’. Also included is his remix of FCL’s omnipresent ‘It’s You’ – an exclusive to this compilation – which features MK’s trademark chopped, rhythmic vocals and pumping organ-driven bass. Two compilation exclusives follow; Pet Shop Boys 'Can You Forgive Her' (MK Remix) and Bizarre Inc 'You Took My Love' (MK Mix, Lee Foss Edit). Further inclusions from men-of-the-moment Dusky, the UK’s Huxley and crosstown rebel Amirali add additional weight to a deeply intoxicating mix. CD2 opens with a short tease of Catz N Dogz ‘They Frontin’ and then slips into MK’s incredibly hot remix of sultry siren Lana Del Rey’s ‘Blue Jeans’. Over the last couple of years, many have tried to rework Del Ray’s dusty vocals, but few have done it with such finesse. Also present is a record from one of MK’s most high-profile recent collaborators in Jamie Jones’ ‘Road to the Studio’, concluding with Lee Foss & MK feat. Anabel Englund ‘Electricity’, both of whom are working with MK on an upcoming live band project. In addition to the two studio mixes, the digital version of the release includes 10 additional MK releases and remixes, from 4th Measure Men ‘Given’ to his recent remix of Inner City’s timeless ‘Future’. Over the past few years, MK has enjoyed a renaissance and subsequent rich vein of form in a career that was already exceptional, and Defected presents MK In The House may very well be the mix of his life.